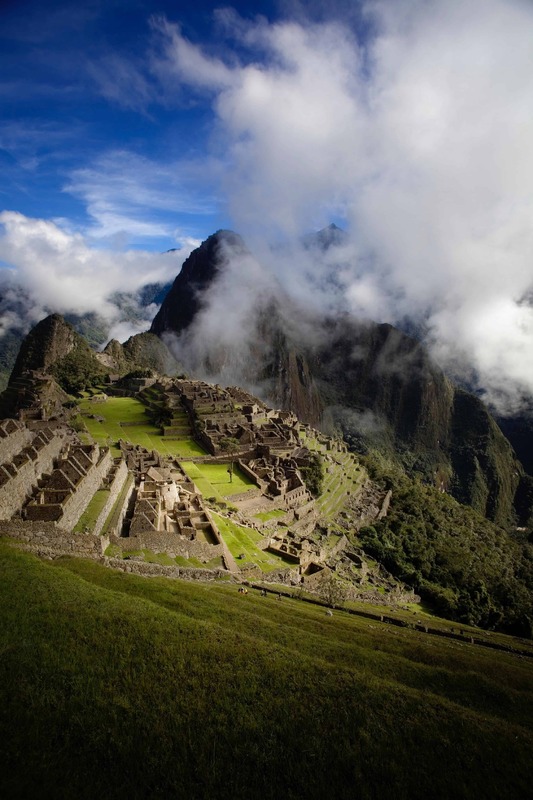 Peru’s ‘Lost City of the Incas’ is one of the world’s great bucket list destinations, for young and old. Our writer and his son took the easy route to get there, but nevertheless found the experience a high point of their lives. TO THE APPROXIMATELY one million people who asked if I was going to hike the Inca Trail to Machu Picchu during my recent pilgrimage there, let’s just get this straight: wasn’t going to happen. Not a chance! My rationale was: why give four or five days to something that I could do in four or five hours? Especially considering the many other amazing Peruvian places to be squeezed in during a too-short week there. Then there’s also the fact that my son Brendan (who was being rewarded with this trip for the dual accomplishments of turning 18 and graduating high school generally without incident) and I are both shamefully lazy. 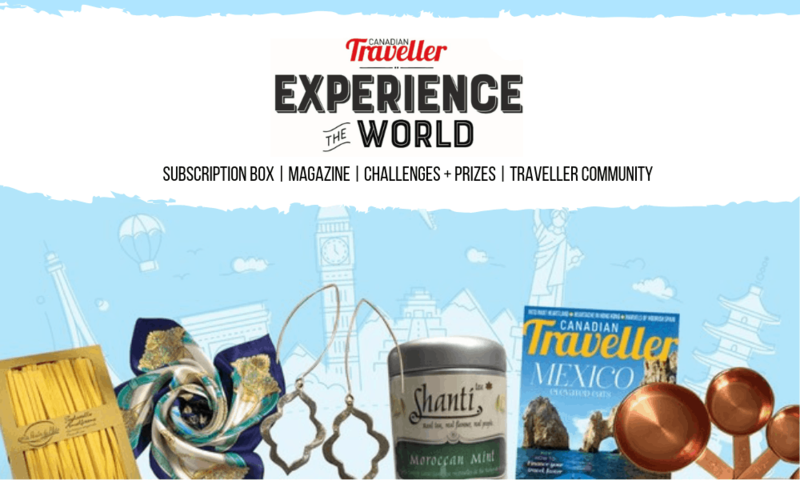 That’s not to suggest that the ancient citadel city of the Incas, uniquely perched high in Peru’s Andes mountains and enveloped by rain forest/jungle, isn’t the highlight of any visit to the South American nation and that every moment associated with the experience isn’t precious. Indeed, most organized tour programs build their Peru itineraries toward visiting the UNESCO World Heritage Site – also named one of the Seven New Wonders of the World in 2007 – at the end for a reason. Save the best for last, as it were. 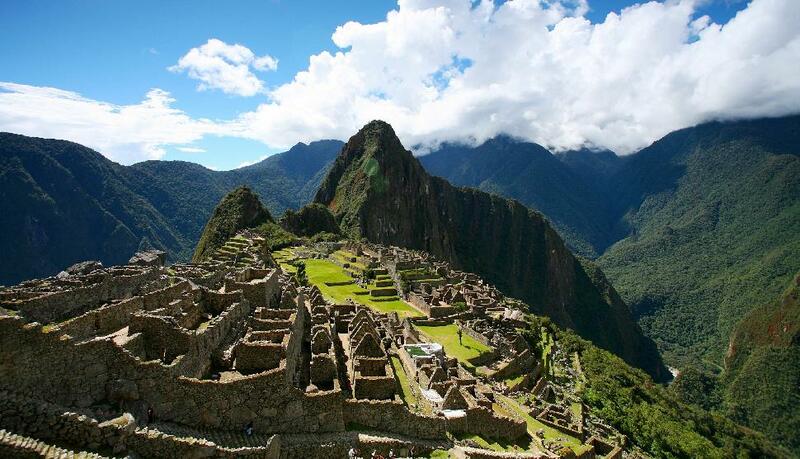 For Brendan, Machu Picchu was a bucket list item. For me, having trod the four corners of the earth professionally and personally for more than four decades, it was no less so. I almost got there in 2010, but my trip was washed out by torrential rains which, while disappointing to me, paled in comparison to the effect it had on stranded tourists – many of whom had to be airlifted out – and residents, who were beset by raging rivers, mudslides and broken communications that affected the region for months afterwards and all but shut down tourism, on which the local economy depends. Such deluges, though extreme in this case, are always a threat during the rainy season from December to March, prompting most travel advisors to recommend visiting in the summer months, June to September. 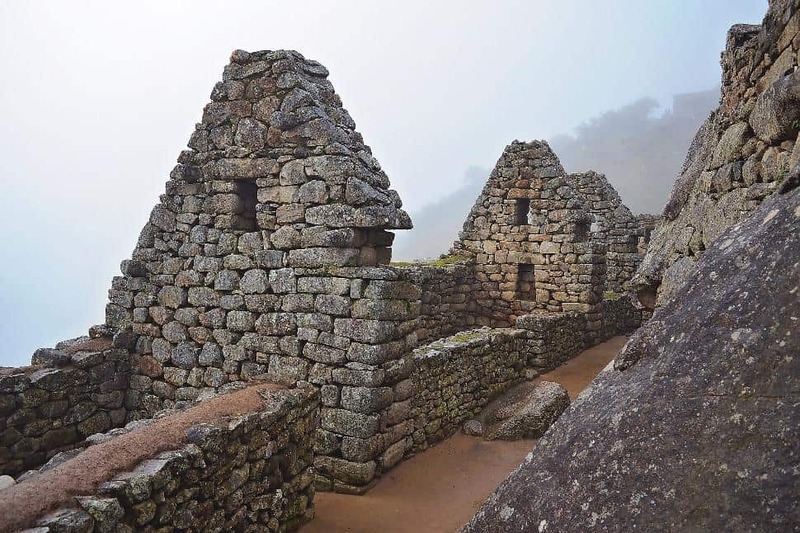 On our August day, Machu Picchu – meaning “Old Mountain” in the local Quechua language – was glorious, the sky a rare kind of blue that inspires photographers, a few white clouds dancing among the mountaintops just for effect. Set at 2,360 metres above sea level in steep, green-clad mountains and overlooking a formidable canyon cut by the Urubamba River, the Incan ruins are both ubiquitous and instantly recognizable to travellers the world round, but still breathtaking on first view – which, as it turns out, is almost immediately upon entry into the national archaeological site. 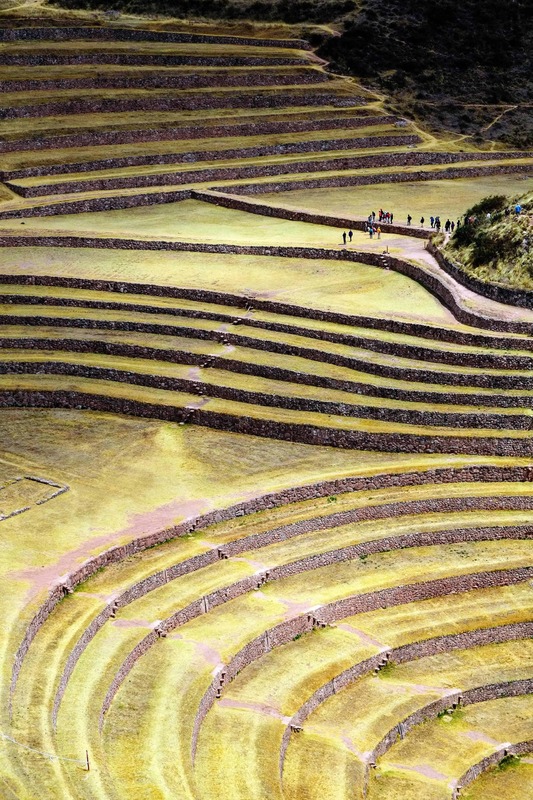 It is impossible not to linger over the vantage, and moment, as one would imagine American explorer Hiram Bingham did in 1911 when led to the so-called “Lost City of the Incas” after a six-day hike through the Sacred Valley with a local guide, who clearly knew that the city was there. But such was the hubris of western society that Bingham was considered to have “discovered” the fabled ruins, effectively launching the modern era of a site that had been built in the 1400s, inhabited for a hundred years, then abandoned, never having been seen by the covetous eyes of the conquering Spanish. The selfie moment accomplished at the start (Buzzfeed, it might be noted, recently named Machu Picchu the 13th-most ‘Instagrammed’ place in the world), visitors jump into one of travel’s most famous postcards: climbing steps made of the amazing mortar-free interlocking stones; dodging resident llamas that are more interested in plentiful stretches of lawn than the invading tourist army; gasping at a new, magical view at every turn; and probing the nooks and crannies of a labyrinth of paths inhabited by the ghosts of perhaps a thousand forgotten Inca. Beyond its obvious aesthetics, even the least technically minded will marvel that the mountain-top city is a masterpiece of engineering and design. Try, for example, to fit a pen-knife blade between the cracks of the stone walls (can’t be done); or count the terraces (more than 70) that aided agriculture, conserved water and prevented erosion; imagine how seamlessly the more than 140 stone structures – palaces, plazas, temples and astrological observatories, workshops, homes – blended into the rock face of the mountain; puzzle how 50-ton stones were moved into place; and ponder the astrological and mystical nature of some of the relics and ruins, such as the Temple of the Sun and the Hitching Post of the Sun, the latter a sundial that precisely indicated equinoxes and other celestial events. And while the ancient city’s historical purpose and significance remains a mystery – “It’s so remote, it would be a great place to ride-out the zombie apocalypse,” our guide quipped – to the thousands of daily visitors, it’s simply a "must do" travel experience and the pinnacle of any visit to Peru. As it ultimately turned out to be for Brendan. “To see a picture of something or see something on a screen and to actually be there are two entirely differently things; to see it in a 360-degree view when you’re standing in the centre, you’re a part of the history,” he mused. 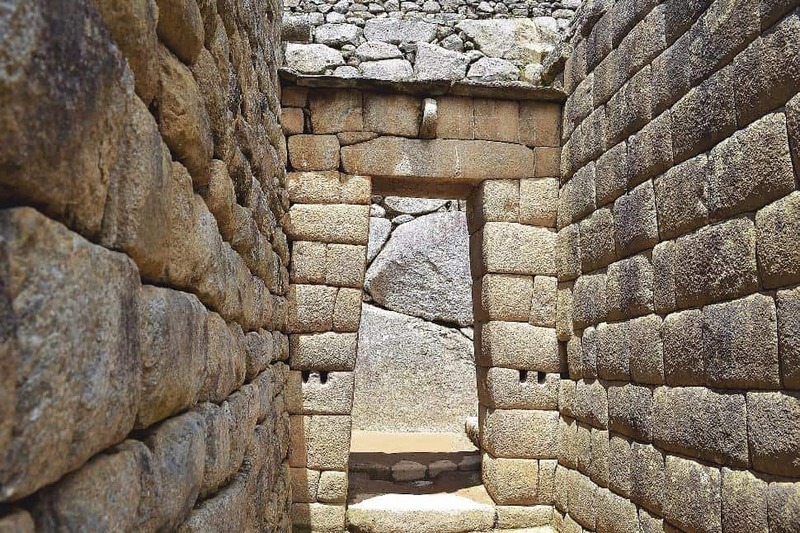 For me, with a lengthy list of been-there-done-that worldly ventures behind me, I couldn’t help but be consumed by any number of ancient Inca-inspired mysteries: Why did they found such a remote city? How did they build it with no iron, steel, wheels, or written language? What did they do there? Why did they leave so soon? 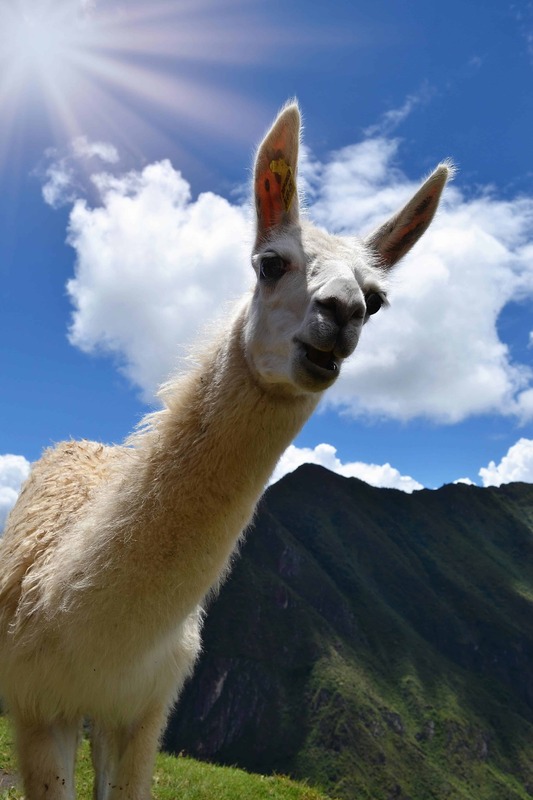 How could this tourist-trampled, llama-manicured lawn be better than the one I had at home? And, perhaps, most importantly of all: why did it take me so long to get there? The journey requires transport to the town of Ollantaytambo for the start of a two-hour scenic dome train bound for Aguas Calientes, then another local bus up the mountain to the site. Logistics, reservations, schedules and availability of admission tickets (purchased in advance) can easily derail any part that plan, so making the use of a local guide with the ability to speak Spanish in a place where it is spoken sparingly is a definite asset. Tour operators station visitors at a base hotel in the Sacred Valley; not only is it closer to Machu Picchu, but it allows travellers a day or two to acclimate at a lower altitude while visiting local attractions. Our writer stayed at the San Agustin Urubamba Hotel & Spa, a clean, functional hotel with a pretty courtyard and proximity to the interesting market town of Urubamba. The archeological site has its own restaurant, but many more options and varied fare are available in colourful Aguas Calientes, the transfer point from train to bus. Adventurous types might try baked guinea pig, a local staple, and chicha, Peruvian corn beer. Click here to read our editor's top picks for dining in Cusco.